Restored ghost town spa resort, offering outdoor living and away-from-it-all surroundings in this old gold rush town. A slice of the Wild West, where you can be sheriff for the day. This restored old ghost town deep in the San Juan Range of the Colorado Rockies can be exclusively yours for group bookings, so if you’ve ever fancied being sheriff for the weekend, Dunton Hot Springs is the place. The perfectly restored ghost town thrives on contradictions; hand-hewn log cabins exquisitely furnished, a life-worn saloon serving food of startling quality, lung torturing trails followed by pampering massages, sensuous hot springs beneath shimmering snow banks - all in a wilderness setting. Devoid of cell phones the romantic old town provides high speed wireless internet access and video conferencing to the distant sound of a tumbling waterfall rather than a hissing city street. Contradictions indeed, like the gentle tranquility or the host of exciting pursuits. Each of Dunton's guest cabins is an authentic, nineteenth century, hand-hewn log building, restored by local and Native American craftsmen who specialize in traditional building techniques. Although no two are alike, each bears a distinct individual character and history. All are furnished with custom luxury amenities, and reveal splendid views that change throughout the day with the shifting colors of sunlight on the mountains. All are less than five minutes walk to the bar, dining area, and adjoining conference facility of the saloon, the hot springs in the teepee and bath house, massage and yoga rooms in the Pony Express Stop, the bank of the West Fork of the Dolores, the waterfall, and the library. Some cabins have direct feeds from geothermal springs. Dunton’s chef has painstakingly established local sources for organic foods he lovingly prepares. Organic lamb from meadows that spawn fields of boletus and chanterelles, tree-ripe fruit and plump vegetables as well as big complex wines from our companions farm and vineyard. And the wine list is replete with first growth Bordeaux, California masterpieces, super Tuscans and lusty Aussie favorites. Rates start at $300 per person per day and the entire town can be rented for as many as 42 people. All meals, non alcoholic beverages and unlimited use of the library, screening room, and hot springs are included. 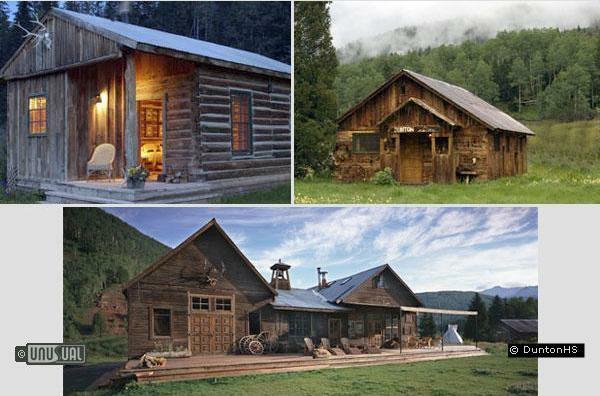 Dunton Hot Springs lies 30 miles southeast of Telluride, and is open all year for individual and group bookings. Transportation to a plethora of magical places as well as local airports can be arranged for an additional charge. Dunton can steer you to adventures you’ve always dreamed of pursuing. Sturdy horses to penetrate the endless wilderness, helicopter skiing in a silent world of powder and glistening sunlight, mountain bikes, snow shoeing, hiking, from leisurely to demanding, camping, fly fishing, river rafting, kayaking, the list is endless. Or perhaps more contemplative days exploring North Americas most concentrated and evocative archaeological sites. The desert is at the doorstep, a vast Indian reservation is home to Monument valley and Cannon de Chelly places as unforgettable as the guides who will lead you through these wind carved masterpieces. Or the ultimate luxury of immersing one self in the natural hot springs, in the carefully refurbished bath house or under an endless sky. Princess Roxy sent me this link to Mighty Mud Mania in Scottsdale AZ, and if you're a fan of Crazy Festivals around the world, I wanted to share it with you. Sadly for those keen to attend, it was on June 11th. Per night based on double occupancy, plus tax and service.